In early February, Fannie Mae published the January 2019 Home Purchase Sentiment Index (HPSI). This data is based on the National Housing Survey data collected and published by Fannie Mae. Findings from the January 2019 survey indicate that consumer perception is that the housing market is becoming more affordable. The HPSI released in January of 2019 showed growing positive sentiment from buyers. This is a reverse of the movement in December, which saw the overall buyer sentiment declining. January saw the HPSI jump to 84.7, representing a 1.2 increase from December 2018. However, it’s still lower than it was in January of 2018 by 4.8 points. Household incomes had the most effect on the HPSI in January. There was an 8 point increase in people who stated that their household income was significantly higher over the past 12 months. This contributed positively to the HPSI, helping to compensate for a reduction in confidence related to employment stability over the next 12 months. The number of people who believe it’s a good time to buy a home also increased in January of 2019, following the normal annual trends of a higher HPSI throughout spring and summer. There was also a 3 point increase in the number of people who believed mortgage rates would go down in the next 12 months. It’s too early to judge whether 2019 will turn into a stronger buyer’s market. 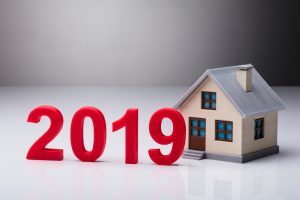 However, these are positive signs for early 2019 housing market growth. Buyers are indicating that they’re less afraid to buy a home at this time, and that it’s actually a better time to buy than to sell. The index pointed to less confidence in selling than buying, which is related to the fact that fewer people believe home prices will increase in the next 12 months. Senior Vice President and Chief Economist at Fannie Mae, Doug Duncan, stated that movement in the index is showing early signs of a stabilizing U.S. housing market in 2019. Duncan stated that consumer perceptions about home price changes, household income changes, and mortgage rate changes are in line with Fannie Mae’s predictions of a more affordable housing market in 2019, giving some relief to rising unaffordability in 2018. In December 2018, the HPSI reached its lowest point in net sentiment toward home buying at 11%, with 52% saying it was a good time to buy, and 41% saying it was a bad time to buy. In January 2019, that rose to a 15% net positive, with 53% saying it’s a good time to buy and 38% saying it’s a bad time to buy. Net selling sentiment has remained relatively flat since October of 2018. The HPSI indicated changing consumer sentiment in a number of areas. Here are other highlights from the January 2019 HPSI. Mortgage Rate Sentiment: Respondents increasingly believe mortgage rates will go down in the next 12 months. This is largely in line with the latest Fed announcement that it will hold off on interest rate increases in 2019. Original predictions were that interest rates would continue to climb. But, in January 2019 the Fed stated it will be patient with new rate increases and will hold off for now. Lower Price Increase Expectations: Expectations for rental price increases and home price increases have gone down from last month, with both hitting their lowest point in 24 months. Respondents believe rental prices are likely to increase around 3.8% in 2019, down from 4.7% in December 2018. Home prices are anticipated to increase around 1.6% in 12 months, down from 2.3% in December 2018. More Respondents Would Buy: In January 2019, 68% of respondents said they would buy a home if they were going to move versus the 27% of respondents who said they would rent. This represents a higher number of people stating they would buy, and a decrease in the number of people saying they would rent. Personal Finance Versus Economic Perception: A larger percentage of respondents (51%) expected their personal financial situation to improve over the next 12 months, while a decreasing number of respondents stated the opposite. However, respondents also increasingly indicated concern over the economy with only 49% saying it’s on the right track, which is down from 50% in December of 2018. This is paired with 43% of respondents who say the economy is on the wrong track, up from 40% in December. Early indicators are pointing toward a more affordable housing market in 2019. While the HPSI cannot predict future market changes, consumer sentiment in the past has often aligned with market realities in a way that makes the HPSI an important tool.